Superheroes may not get paid very much for saving the world, but even they need to keep their lunch money somewhere. 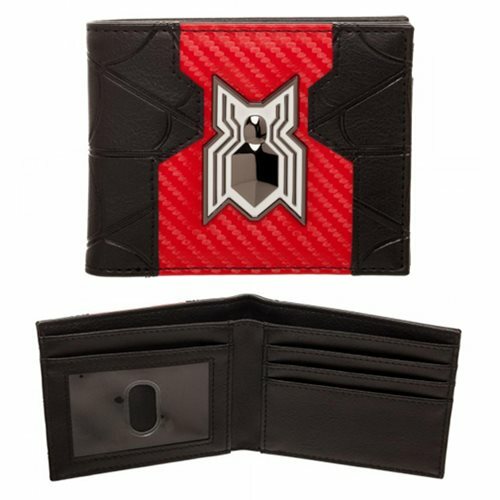 Store your cards, cash, and ID in this Spider-Man Homecoming Bi-fold Wallet. This Marvel themed wallet includes 3x horizontal and 2x vertical card pockets, 1x transparent ID window, and 1x full-size currency compartment. Ages 14 and up.